Burgums and Burghams lived here, or nearby. 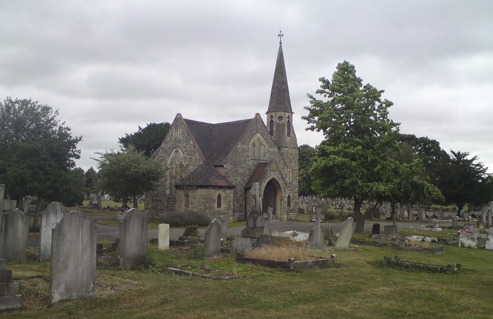 GARTH ROAD CEMETERY, MERTON, is also known as the Merton and Sutton Joint Cemetery, Morden, Surrey, on the southernmost edge of Outer London. (It is just to the south of Wimbledon). It was opened in 1947 and is about 20 acres in size. The first entry in the burial register is Mrs Lydia Hay, age 48. She was buried in unconsecrated ground on the site 3rd December 1889. It is run by the Merton & Sutton Joint Cemetery Board. The list below shows the burial that took place at Garth Road Cemetery, Merton, Surrey.